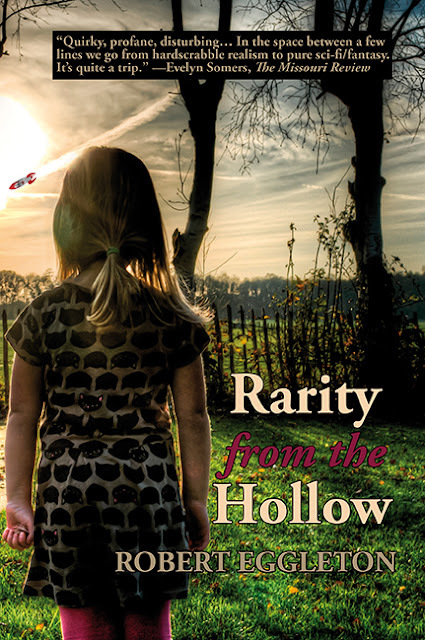 Rarity from the Hollow is adult literary science fiction filled with tragedy, comedy and satire. The story includes elements of fantasy, everyday horror, paranormal, romance, mystery, and adventure. The content addresses social issues – poverty, child maltreatment, and the medicinal use of marijuana. This novel is not for the prudish, fainthearted or easily offended. This is a children’s story for adults. While the protagonist, Lacy Dawn, occupies the body of an eleven year old, and sounds like one, she has evolved under the supervision of Universal Management for hundreds of thousand of years. She is not a typical little girl, and if you think of her as such, you may be shocked. Lacy Dawn is the true daughter of Appalachia, and then some. She lives in a hollow with her worn-out mom, her Iraq War disabled dad, and her mutt Brownie, a dog who’s very skilled at laying fiber optic cable. Lacy Dawn’s android boyfriend has come to the hollow with a mission. His equipment includes infomercial videos of Earth’s earliest proto-humans from millennia ago. He was sent by the Manager of the Mall on planet Shptiludrp (Shop ’till You Drop): he must recruit Lacy Dawn to save the Universe in exchange for the designation of Earth as a planet which is eligible for continued existence within a universal economic structure that exploits underdeveloped planets for their mineral content. Lacy Dawn’s magic enables her to save the universe, Earth, and, most importantly, her own family.